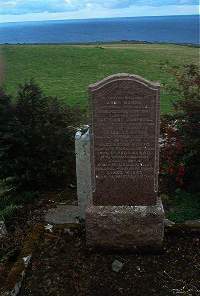 John Munro of Janetstown Latheronwheel died 25 September 1919 aged 81. Wife Catherine Campbell died 20th August 1935 aged 93. Daughter Isabella Munro died 23rd July 1881 aged 5. Son Alexander Munro died 21st September 1894 aged 22. Son L.Cpl George Munro 18 Btn Canadians killed in action 2nd March 1916 aged 33 buried at Ridgewood Cemetery Belgium. Son James Munro died 3rd April 1939 aged 55.